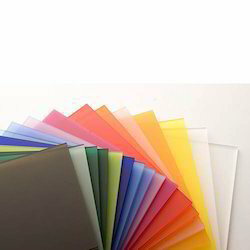 Leading Manufacturer of pmma colored acrylic sheet, extruded acrylic colored sheet, acrylic plastic colored sheet and ps acrylic color sheet from Rajkot. TILARA Acrylic Sheet is a thermoplastic sheet that is an alternative of Polycarbonate when extreme strength is not compulsory. It is often preferred because of its moderate properties, easy handling, fabrication and other processing. TILARA acrylic has better scratch resistance properties than other conventional sheet. Extruded Acrylic Colored Sheet is a thermoplastic sheet that is an alternative of Polycarbonate when extreme strength is not compulsory. It is often preferred because of its moderate properties, easy handling, fabrication and other processing. 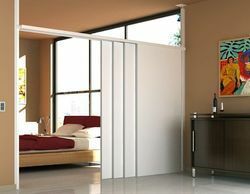 TILARA acrylic has better scratch resistance properties than other conventional sheet. Acrylic Plastic Colored Sheet is a thermoplastic sheet that is an alternative of Polycarbonate when extreme strength is not compulsory. It is often preferred because of its moderate properties, easy handling, fabrication and other processing. TILARA acrylic has better scratch resistance properties than other conventional sheet. 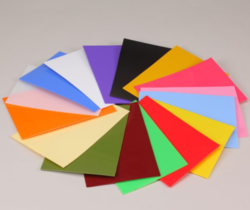 PS Transparent Color Sheet offered comes developed from polymer developed from monomer styrene and can be made available in solid or foamed form finish. Coming with clear, hard, and brittle properties, these transparent color sheets also provide for superior molding and vacuum forming support with fine details as desired and demanded by the customers. Some of its features include provides for superior light transmittance and weather proof usage; superior mechanical strength; easy processing support; suitability for use in areas like blow molding board, laser engraving, sign board, for office furniture and others. Looking for “Acrylic Colored Sheet”?